Going green is about more than just choosing sustainable brands. Here are 10 ways to reduce your carbon footprint and make a positive impact. You recycle, drive a hybrid car or truck, have a compost bin in your kitchen, only buy organic, and have even attempted biking to work. Congrats, my friend-you’re doing your part to care for Planet Earth! Al Gore and Ed Begley, Jr. would be so proud. This Earth Day, remember that it’s the small things that count, too-like turning off the coffee maker, putting away the blender, and using a little elbow grease to get the job done. By unplugging for the day, or even making it a goal to do so for a few hours each week, you actually can make a difference in your environmental footprint, and the impact you have on the planet. Gift giving and regular awareness about the carbon footprint created by what we purchase-both for ourselves, our homes and families, and others-is another way to show you care about the environment. 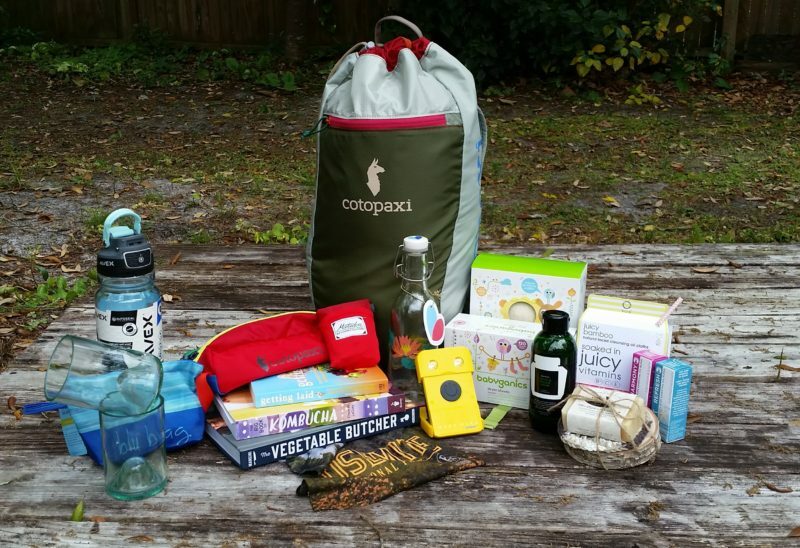 Giving green gifts is about more than just choosing a sustainable product. Check out these 10 ways to reduce your carbon footprint, as well as our 20 top picks for sustainable spring and summer brands in this year’s annual Earth Day gift guide. Get on your way to a happy (and green) gift giving season! After a long day at work, it can be tempting to take that long, hot soak every night, taking a bath consumes an estimated 80 liters of water compared to showers which consume an economical 35 liters of water! Instead of soaking away the cares of the day, try using aromatherapy to calm your jangled nerves, and soothe your soul before bedtime. Our top picks-Harmony and Tranquility, from Gurnanda Ayurveda, SRP $9.99. Try placing a few drop of essential oils on a wet washcloth at the bottom of your shower, and letting the scent relax you as the steam and hot water release the aroma. Disposable plastics not only contribute to one of the largest amounts of waste, they also pollute the environment getting ingested by ocean life, which is then eaten by humans. Eating plastic, needless to say, is bad for your health. Bottled water is also pretty pricey in the long run. According to banthebottle.net, if each person drank the recommended eight glasses of water a day, tap water would cost them approximately $.49 per year. That same amount of bottled water? Try $1,400. Invest in your health-and your wallet-with a refillable water bottle. 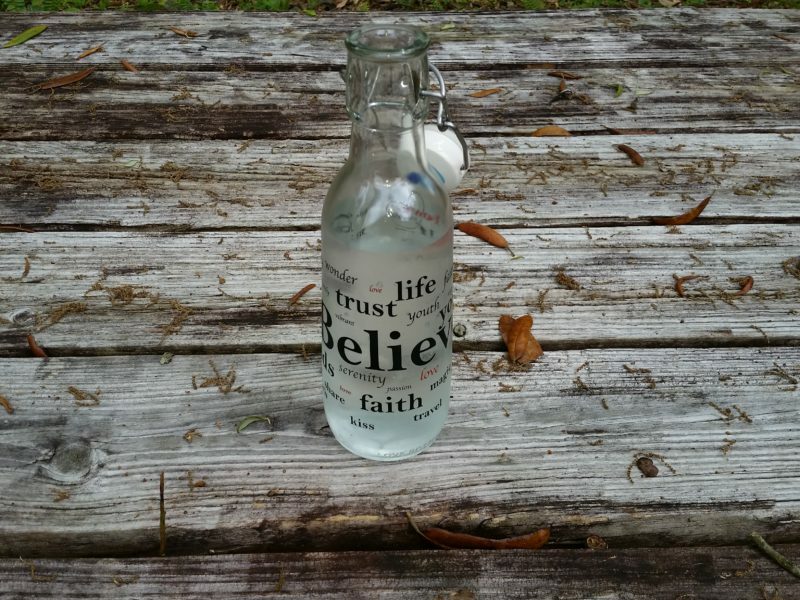 Love Bottle’s flip top, reusable glass bottles not only fit in your cup holder, they’re good for the planet, too. Created by a nutritionist that believed in the power of positive thinking, their artistic designs are inspirational, reminding you to love yourself from the inside out. 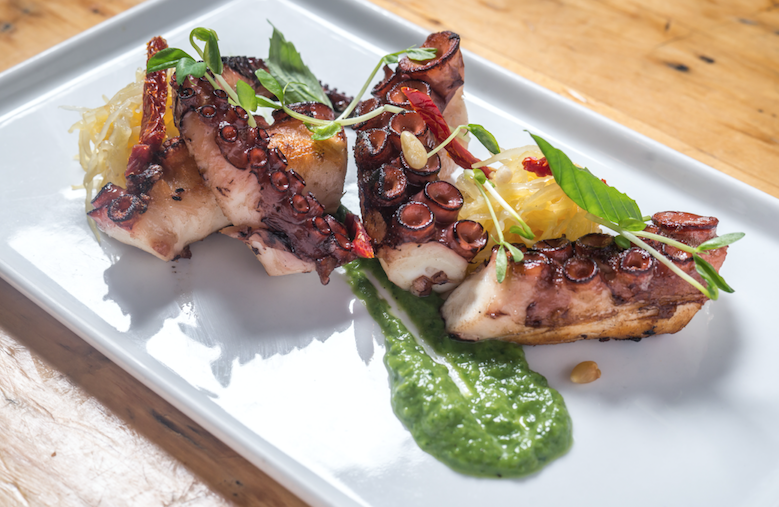 Made from recycled glass, ceramic stoneware, stainless steel wire, and food grade silicone. Starting at only $17, find Love Bottle on Amazon. For the rugged, outdoor adventure where glass just isn’t an option, check out Avex. 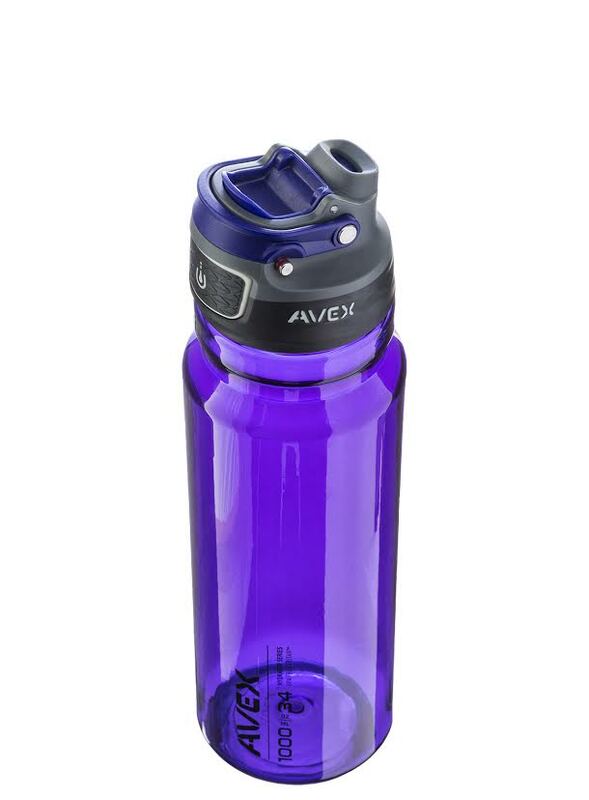 Based in Park City, Avex makes bomber bottles and thermoses that are perfect for summer days out exploring the woods, hanging at the beach, or road tripping to the National Parks. 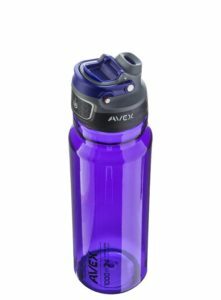 The new AVEX Freeflow Water Bottle – a generously sized 34oz bottle with push button pour and lock technology, is shatterproof and BPA free and best of all it doesn’t leak. Toss it in your pack or let it roll around in the car, and never worry about leaks! MSRP $16.99, find it on Amazon now. Speaking of adventure, no day off is better spent than hiking in the beauty that Mother Nature gives us. 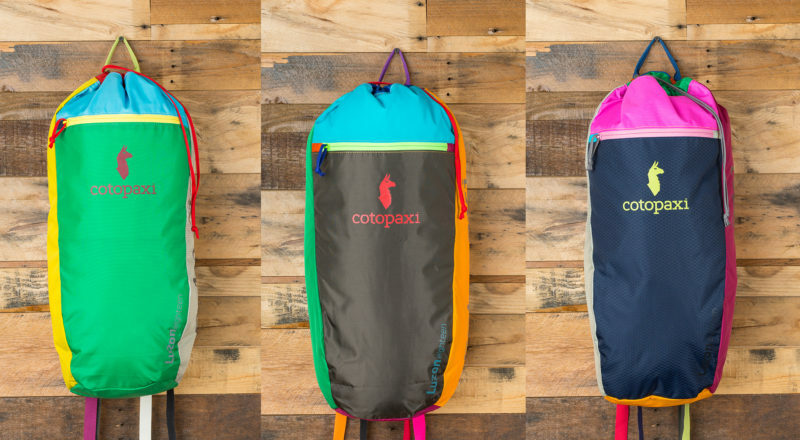 Each one of Cotopaxi’s Luzon Del Dia 18 liter daypack backpacks is made with colorways under the full control of employees in the Philippines. That means no two packs look alike. As a B Corporation, Cotopaxi goes above and beyond to help those in need, making substantial contributions to varying charitable organizations around the world on an annual basis. Although the Luzon colorways are a surprise, what you can expect is a durable, packable, and versatile design, with their repurposed ripstop nylon, and the satisfaction that you’re buying from a company that truly cares about the environment. $49.95 on cotopaxi.com. Our Cotopaxi Luzon arrived, and looked like this, based on the colorways that were chosen for us. Get outside this Earth Day and stay charged and connected with the power of the sun. 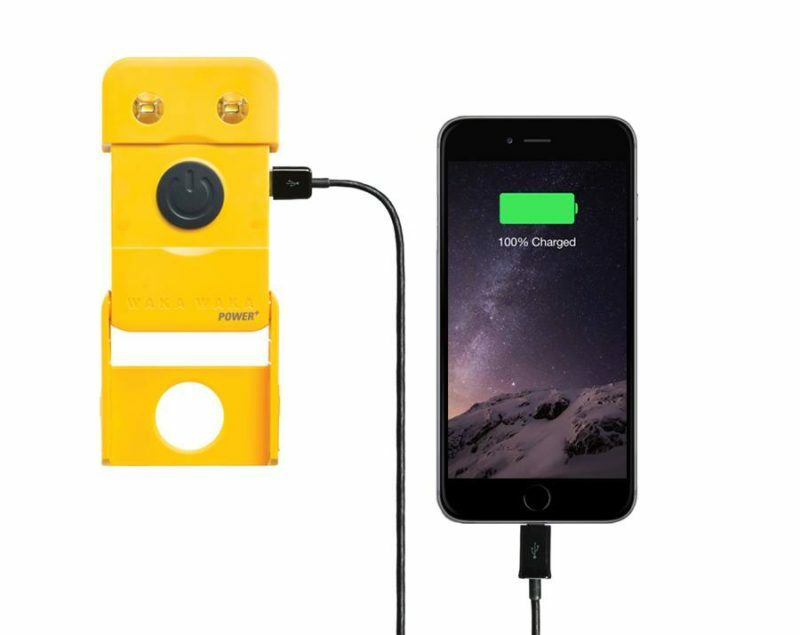 Spring means longer days, more light and with WakaWaka’s efficiency, this solar-powered charger and flashlight is a great on-the-go, portable gadget to keep you charged, wherever you go. Lightweight, durable and compact, the Power+ is great for emergencies, back-up chargers (it can charge an iPhone 5 in under 3 hours), and a travel must-have – sustainability meets tech. The best part: for every WakaWaka purchased, a solar light is donated to a family caught in crisis and living without access to electricity. The company’s rugged, ultra-efficient solar solutions have empowered more than one million people living off-grid with life-saving, life-enhancing solar power: premium products for all markets. Power+ is $79 on their website. 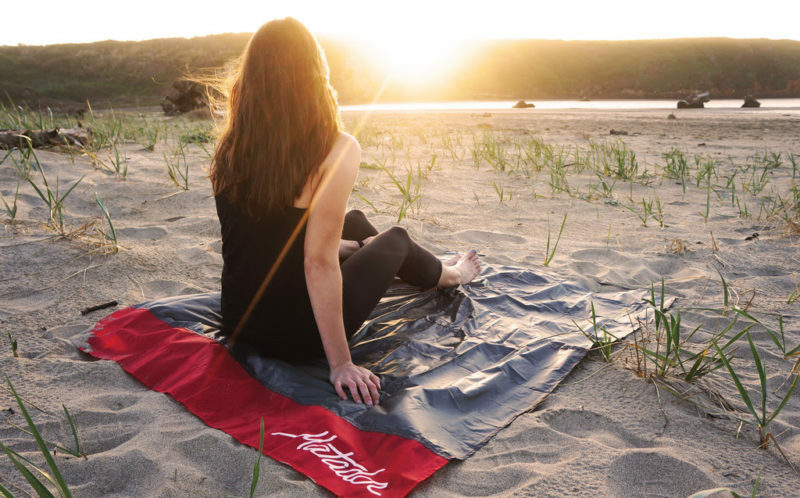 Stop getting wet, damp and dirty with the lightweight, durable Matador Pocket Blanket, perfect for on the ground seating at your next pop up movie night or concert. 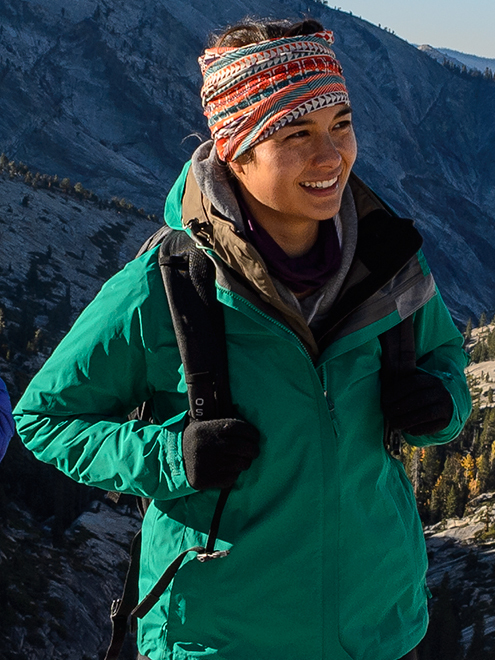 Ultra compact and made of ripstop parachute material, Matador’s products are water resistant and easy to pack, but will keep you warm and dry. Starting at $19.99 on Amazon. Protecting your skin and body from harmful UV rays is important when playing outdoors. Introduced in conjunction with the National Park Service Centennial, Buff’s UV headbands and protective wear now include a tubular collection that celebrates the majesty of America’s national parks. Made with COOLMAX® Extreme fabric, Buff headwear wicks away sweat to keep you cool, while Polygiene® Active Odor Control neutralizes odor. $25 on buffusa.com. By virtually commuting or walking to work at least one day a week, you can drastically cut carbon emissions from gas powered vehicles. Walking at least 10 minutes, three times a day will also boost your mood, increase endorphins, and get your blood moving, making you less susceptible to illness and stress. 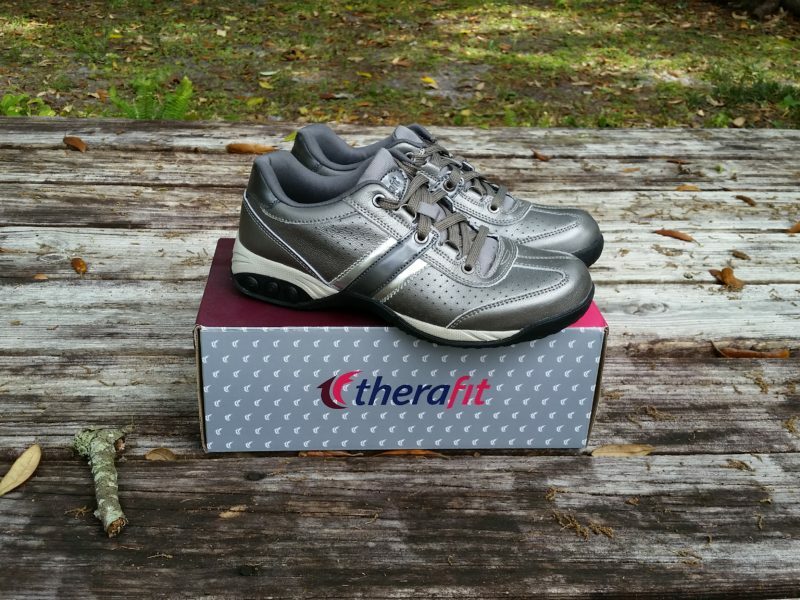 We liked the Euro Women’s Oxford lace up style from Therafit Shoe company, with their orthotic arch support, and customizable heel. Featuring three removable inserts, you can increase or decrease heel support in seconds, making that city walk to work or shift on your feet seem like a breeze. SRP $119. For a bit dressier look, try their slip on Coco lace ballet flats. 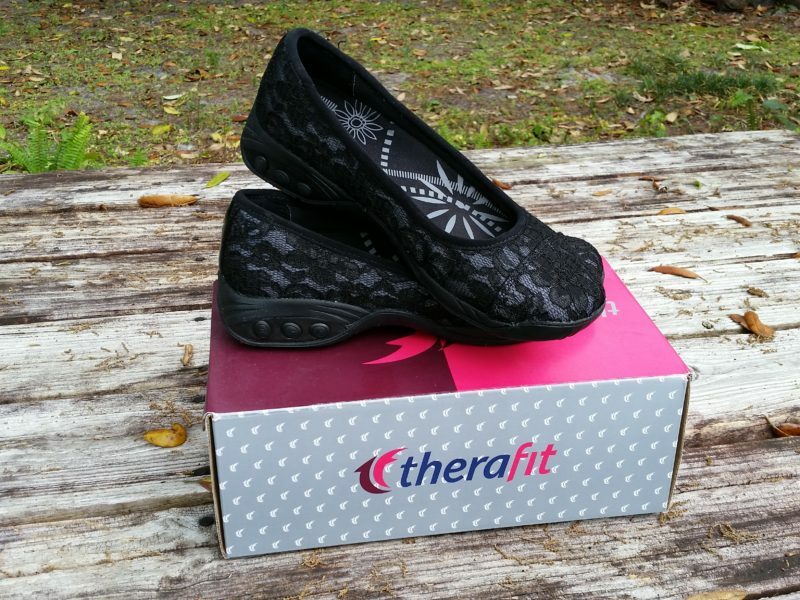 Made with the same orthotic technology-those three post in the heel, as seen here-that you’ll find in Therafit’s athletic shoes, these cute flats can take you from office to evening with ease and style. $109 on their website. Just like pollen and allergy season, environmental pollution can have an effect on your sinuses and immune system. Long known for its healing effects, aromatherapy – the ancient Ayurvedic practice that harnesses the mind and body benefits of essential plant oils – used to be considered primarily as an “alternative” therapy and a luxury reserved for spa-goers. More than that, however, it can help to freshen the air, ease congestion, and improve sleep. 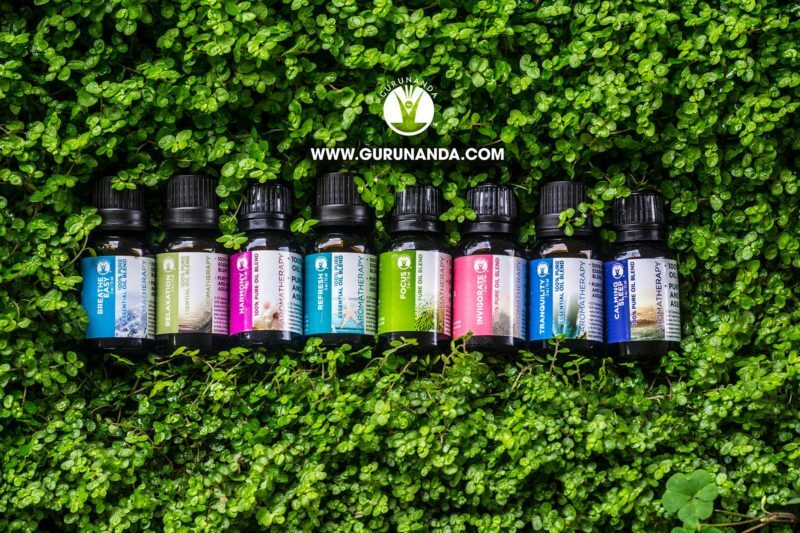 Gurunanda’s essential oil diffuser breaks scents and water into micro-particles, creating an nearly dry mist as it fills your room with sinus clearing aromas. $29.99 on Amazon, try Calming Sleep-lavender, orange, and lemongrass-or Breath Easy- eucalyptus, peppermint, and rosemary- aromatherapy oils to soothe stuffy noses and sleep better. Made from 100% natural latex from organic rubber trees in India by Three Happy Coconuts, the Happiness pillow is a perfect option for kids and adults suffering from allergies and asthma, or anyone who needs a chemical-free alternative to traditional cotton or wool pillows. Happiness (retail $100+) provides excellent head and neck support, while providing ventilation due to the strategic placement of air holes. 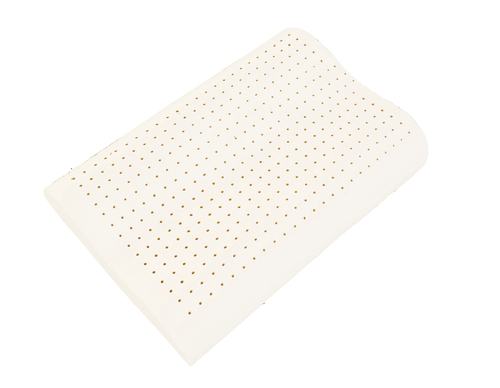 This means your pillow will stay cool, dry, mold- and bacteria-free even in hot and humid environments. Latex also does not off-gas like other materials, and is an all natural alternative to memory foam and polymer based bedding. More information is at threehappycoconuts.com. Coming soon from furniture designer Dino Corella, founder of mattress startup Sonno Bed, a new, 100% organic latex and foam bed, shipped fresh and straight to your door at a fraction of the costs of a traditional memory foam or latex bed. 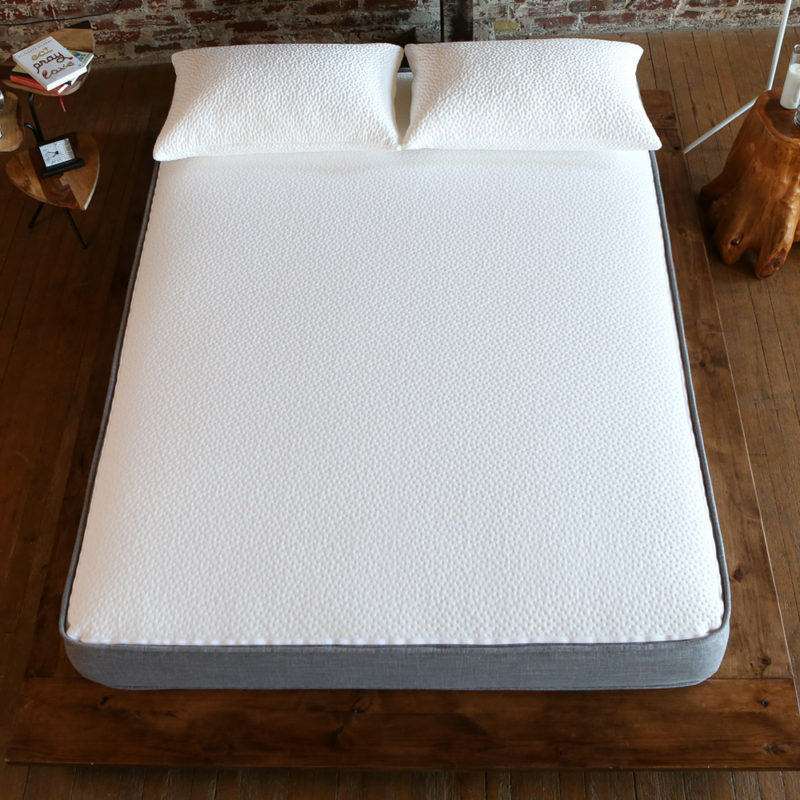 Full details are under wraps until summer, but like other Sonno Beds, this all natural mattress will feature Sonno’s signature customizable firmness, and a return to the flippable option of traditional mattresses, reducing body impressions and evening out use and wear with time. Current prices start at $650, with organic mattress pricing to be announced on their website. The average American uses 300 plastic bags per year, and studies show that a single bag can take 1,000 years to disintegrate. Because of this, and the long term effects that plastics cause in our environment, more and more cities and towns are banning plastic shopping bags, and lifestyle brand, rockflowerpaper, has just the stylish and convenient alternative with their reusable Blu Bag line. 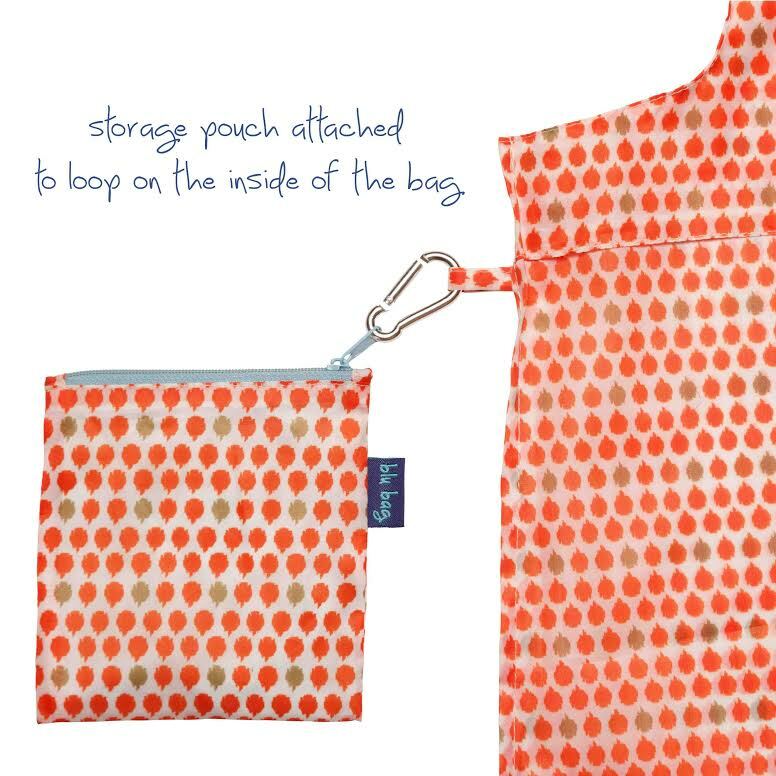 Donating a portion of proceeds from each bag sold, (a minimum of $50,000 over three years) to help Ocean Conservancy, Blu bags come in bright, bold colors and stuff into a pouch that attaches to the bag with a carabiner, so it doesn’t get lost OR can be rolled and secured with an elastic band. These super durable, fashionable shopping bags are heavy duty, holding up to 50 pounds, so don’t be afraid to toss in that bottle of wine at Trader Joe’s. Starting at $9.95 on their website. 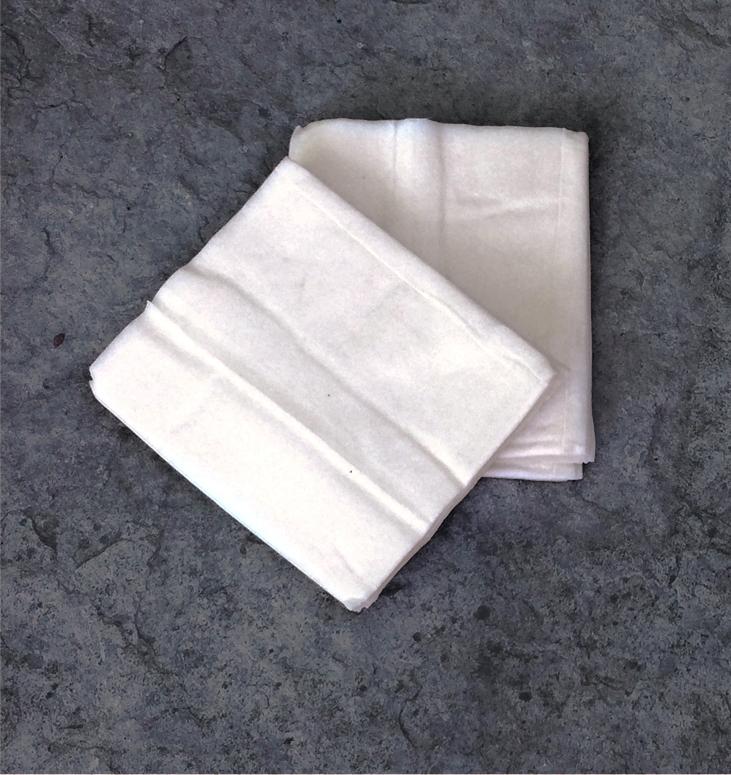 Like many products, traditional dryer sheets and detergents can create unnecessary waste, expelling contaminants and chemicals like sulfates and 1,4-dioxane onto fabrics and skin that are less than good for the body, much less planet. Dryer balls are always the safest choice for fluffing fabrics and towels without chemical-filled residue. 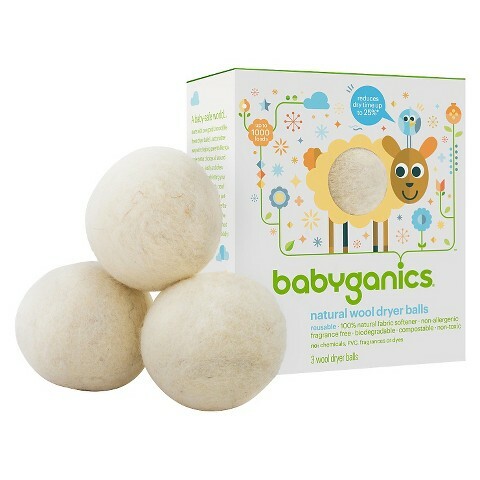 Babyganics are made by hand in the USA, using USA sourced wool, and are completely biodegradable. $19.99 at Target. 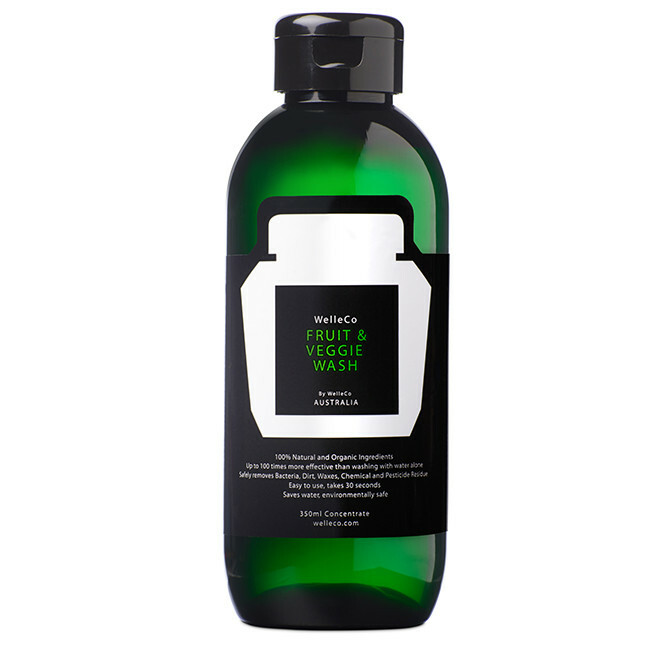 Make what you put in your body clean and safe with WelleCo’s fruit and veggie wash. The lifestyle brand that was founded by Elle Macpherson and her nutritionist, this all natural and chemical free product is easy to use and rinses clean, leaving only the fresh taste of healthy fruit and vegetables. MSRP $14.99 at retailers nationwide or on their website. For body care that’s environmentally friendly, check out Juicy Bamboo’s biodegrable face wipes. 100% non-toxic and cruelty-free, Juicy’s bamboo cloths are the first on the market infused with a moisturizing medley of organic honey, jojoba oil, sunflower oil, and 8 citrus essential oils. A perfect companion to your weekend camping plans, you can bury them in the earth after use, knowing they’ll break down naturally in 90 days. $15.50 for 30 on KaiNaturals.com. 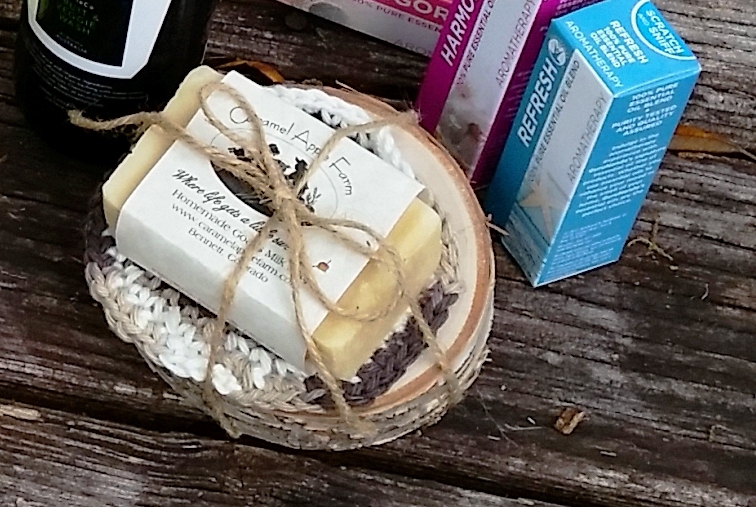 Naturally made soaps are another way to reduce environmental impact. At Caramel Apple Farm, in Bennet, Colorado, owner Denise Hopkins knows a thing or two about using goat’s milk to make great bath and body products. 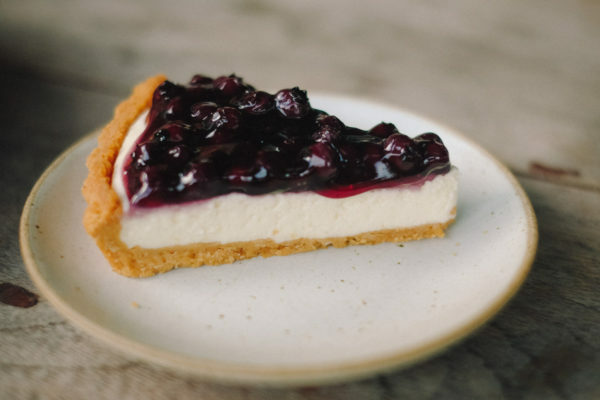 Their handmade goat’s milk body cream and soaps are some of the best smelling things we’ve tried all year, and they. Check out their Aspen gift set-a warm, woodsy scent perfect for Mom or Dad-with freshly made soap, wooden holder, and lotion, $28 on their website. 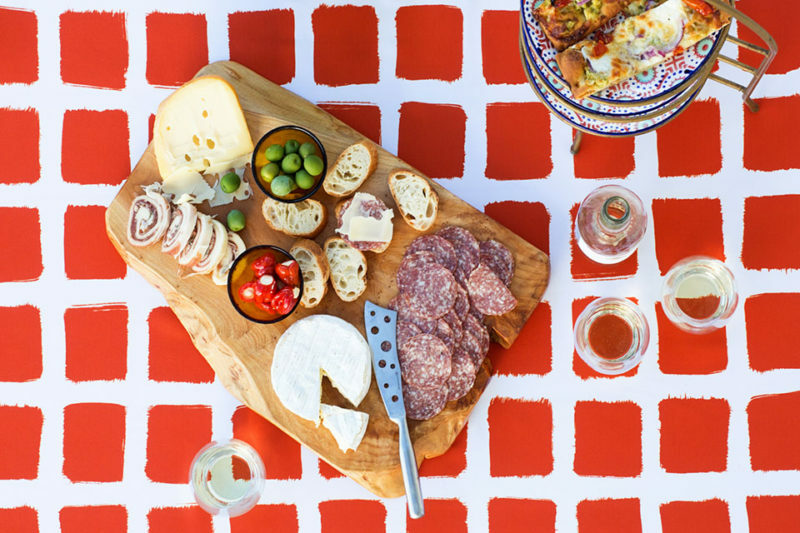 For the foodie and wine lover in your house, check out upcycled product maker, Bottles & Wood. Their line of glassware is made from locally sourced wine and beverage bottles, discarded by bars and restaurants. They clean, polish, and smooth the glass, turning them into drinkware, servingware, and more. 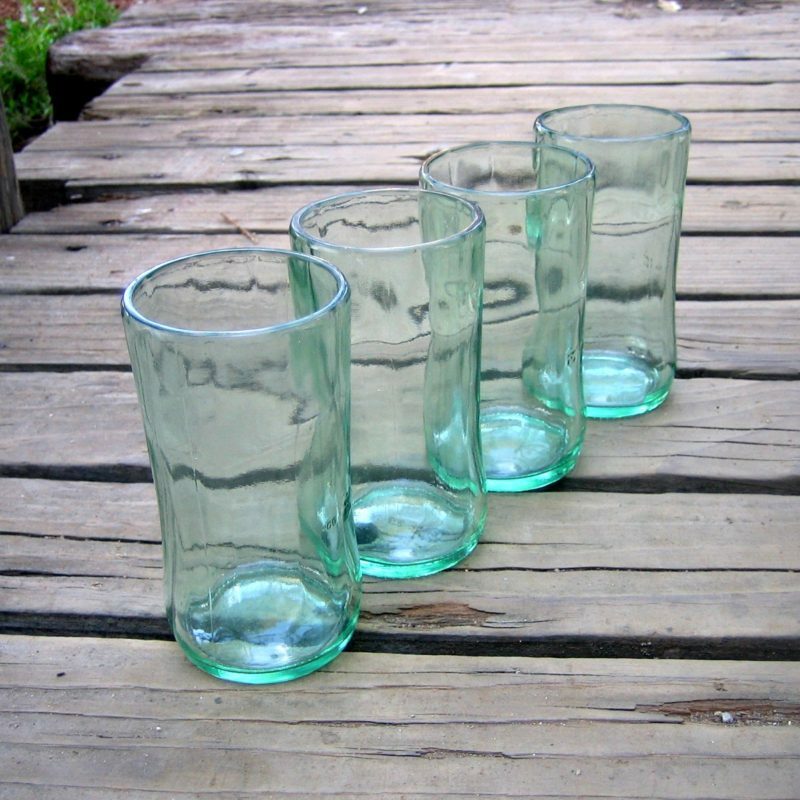 Check out these petite, upcycled Coke bottle glasses, $24.99 for a set of four on their website. 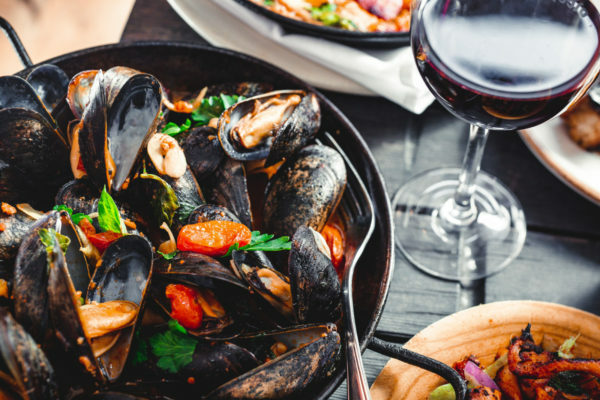 A repeat favorite and a great excuse to buy a new tablecloth is Bottlecloth. Using upcycled plastic bottles, designer Brenda Sacks turns would-be trash into soft, washable décor that’s bright and cheery. A great gift for the host or hostess that loves to entertain. Place mats start at $14, tablecloths start at $59. More on their website at bottlecloth.com. Last but not least comes kitchen tool manufacturer, Repast, with their gorgeous line of wooden ravioli pasta rolling pins. 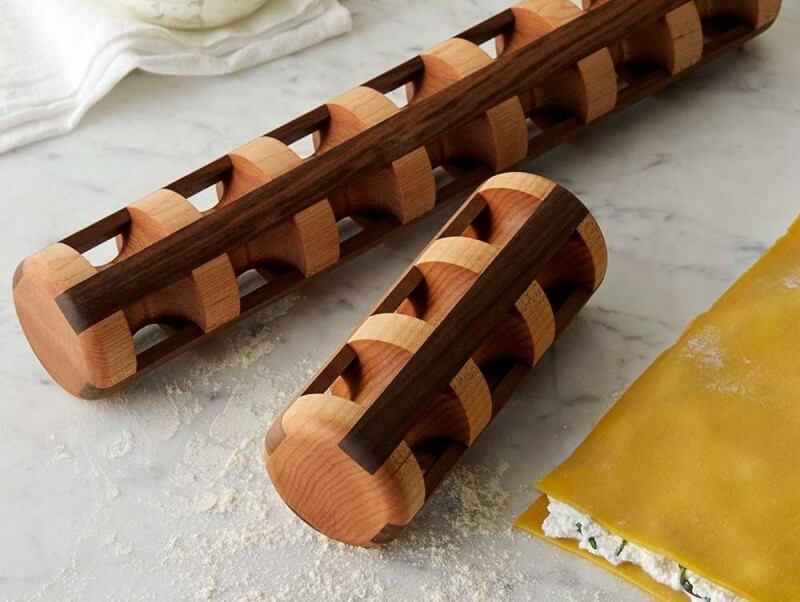 Made from maple baseball bat blanks and cherry or walnut, their ravioli rolling pins are truly a work of art. Even better, Repast plants 100 trees in the United States for every tree used in production. To date, they’ve planted over 1500 trees. Their 17″ rolling pin starts at $99. Cinco De Mayo Just Got A Whole Lot More Refreshing!